"I treat women for breast cancer, but I never imagined I would be one of them." Dr. Anne Peled is a 37-year-old mother of three and a board-certified plastic and breast surgeon at Sutter Health California Pacific Medical Center in San Francisco, California. In November 2017, she was diagnosed with stage I breast cancer and opted for oncoplastic surgery, a revolutionary breast-conserving technique that she uses on her own patients. 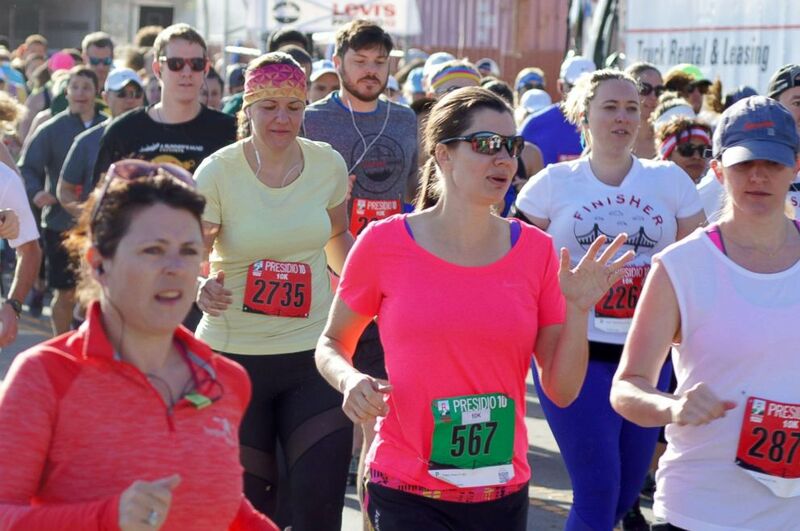 Now, three months after her January surgery as she settles back into her work and family life, Peled reflects on her prognosis and getting back into her rhythm, including feeling fit enough to run a 10K race over the Golden Gate Bridge on April 22. Peled tells her story to "Good Morning America" in her own words below. I treat women for breast cancer, but I never imagined I would be one of them. I had all the medical knowledge and thought I knew everything about what to expect. But I’ve learned so many things along the way, the nitty gritty and the big things. I hope I can help other women through recovery. When it’s your own body, you have a unique perspective on how treatment fits into an active life, especially one for a mom and athlete with a full career. I specialize in what’s called oncoplastic surgery, which combines breast cancer surgery and plastic surgery. I grew up in a family that takes care of women with breast cancer. My father’s a medical oncologist and my sister and my mom are radiation oncologists, so I’ve been a part of cancer research since I was 15 years old. My husband Ziv and I are both triathletes and runners. We have a 7-year-old son, Simon, and 4-year-old twins, Charlotte and Eveline, and do a lot of hiking with them and our dogs. Our life is wonderfully full and busy. 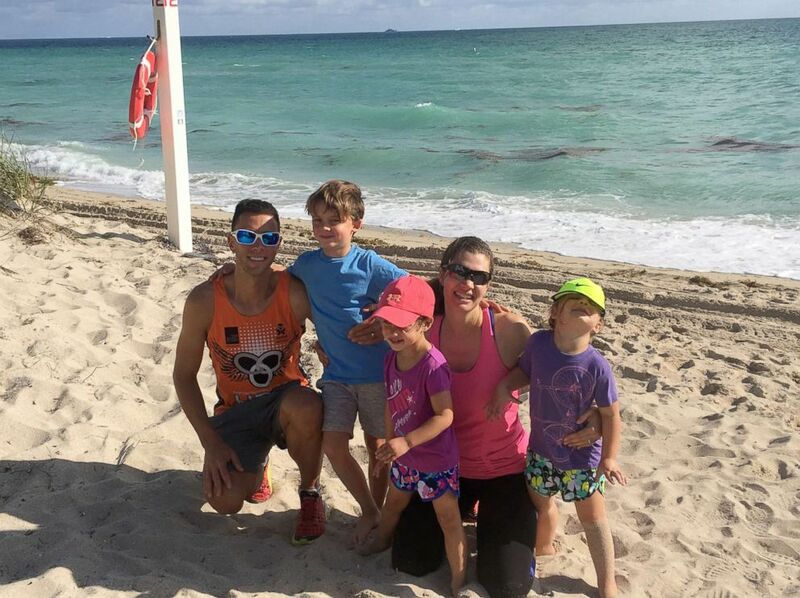 (Courtesy the Peled family) Dr. Anne Peled, smiles with her husband, Ziv, a fellow triathelete and runner, and their children, Simon, 7, and twins, Charlotte and Eveline, 4, at Miami Beach on Thanksgiving 2017, just before her diagnosis. "I felt a lump in my breast"
But last November, I felt a lump in my breast during a routine self-exam. I knew this felt different, but initially, I was not worried. I waited a week or two, and when it hadn’t gone away, I knew I had to do something. My husband is also a surgeon, and he took the lump out in my office. I don’t recommend people go about it this way, but that’s how it happened. The next day I was getting ready to start a big surgery on one of my patients with breast cancer, and the pathologist called and told me the news. I was beyond shocked. Fortunately, though, after several tests and imaging, it turned out to be a small, stage I cancer without any spread to the lymph nodes. I decided to have a lumpectomy with oncoplastic surgery, which is relatively minimally invasive. I offer it to all of my patients who have lumpectomies so that they can have reconstruction during the same surgery without being left with a dent at their lumpectomy site. I had my surgery in Vancouver, Washington, by two surgeons whom I knew well and trusted. What’s pretty amazing is that when you wake up, you are not faced with thinking about having to have another surgery in the future to fix the lumpectomy area. In some cases, you look even better than before. (Tybach Production Services) Dr. Anne Peled goes into surgery in January 2018 at PeaceHealth in Vancouver, Washington. Only 10 percent of women who have lumpectomies in the United States will have oncoplastic surgery because they don’t know about it and we are still training doctors in these new approaches. Rebecca Hiles, 28, said that doctors misdiagnosed her. My surgeons rearranged the breast tissue to fill the hole and also reshaped the breasts. At the same time, they placed a small, spiral implant called BioZorb into the tumor site. It’s a kind of scaffolding that dissolves and leaves behind a few embedded titanium marker clips, which work like a GPS system for the breast cancer site. I will need mammograms and MRIs every six months for most of the rest of my life, and those clips will tell doctors precisely where to look for a recurrence of cancer. It also helped my radiation oncologist know where to target the radiation therapy. Recently, I saw a woman who had been diagnosed at the same age as I had, but over 30 years ago. She’d had a mastectomy with no reconstruction. She had a large remaining breast on the other side and hid her chest for years with bulky clothing because she was so embarrassed by her asymmetry. She also developed neck and shoulder pain and couldn’t find bras that would fit. I so wished for her that she’d had the same great reconstructive options that I had. Fortunately, so many breast cancers nowadays are treatable, and women are going to get through their treatments feeling well and doing well many years in the future. "I now really understand the true challenge of weighing the risks and benefits"
Despite how informed I am as a breast cancer doctor, I now really understand the true challenge of weighing the risks and benefits of a mastectomy versus a lumpectomy. It’s a discussion that I literally have every single day in my practice. But we know from studies that women with smaller cancers can have lumpectomies with radiation and do equally well from a survival standpoint. And insurance covers both lumpectomy and mastectomy reconstruction. I was really happy with my decision and was excited to get back to running. Exercise is a huge part of my life. I started doing half marathons and triathlons when I was in medical school and have found training and racing helps me focus on being the best mom and doctor I can be. (Courtesy the Peled family) Dr. Anne Peled (#567) runs a 10K race at the Presidio in San Francisco on April 22., 2018. Six days after surgery I pushed myself to exercise and my doctor encouraged it. Often, I would go to radiation treatments in my running clothes and run right afterwards. It felt so great physically and psychologically, and it was a perfect time to process all that I was going through. "Most days, I don’t even remember I had breast cancer." Today, I feel incredibly healthy, and most days I don’t even remember I had breast cancer. I tell my own patients that exercise is important to reduce cancer recurrence. I am passionate about the work I do as an oncoplastic surgeon. Although women sometimes think that having breast reconstruction is just cosmetic, it’s really about quality of life. The idea is to wake up every morning and not be reminded of your cancer. And getting back quickly and happily to all those things that really matter to you, like your family, your activities, and your job. 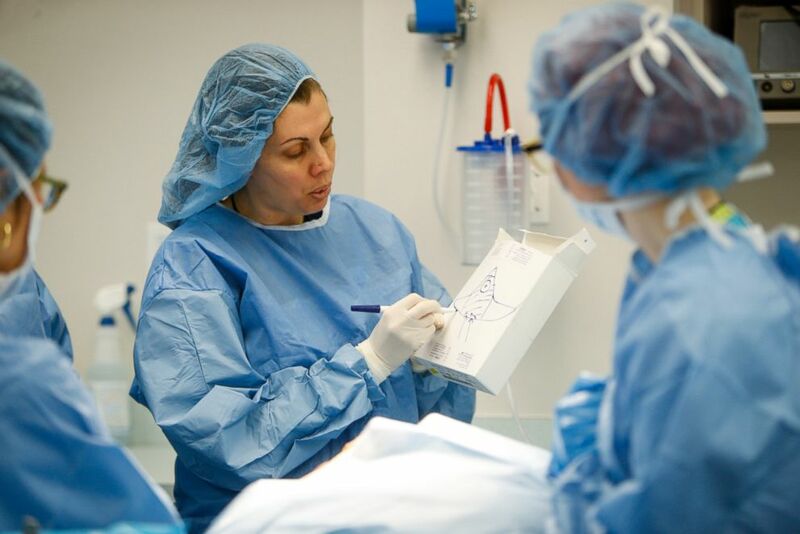 (Elizabeth Brumley/School of Oncoplastic Surgery) Dr. Anne Peled teaches an oncoplastic surgery course, "Marking Lab." My patients were wonderfully supportive and I have felt connected to them in an even deeper way than before cancer. I try to go out of my way to minimize the impact of cancer on their lives, such as streamlining visits, scheduling testing and surgery around their personal and family schedules and better explaining the impact of recovery. Now that I have gone through breast cancer myself, I hope and believe I am a better breast cancer physician. Learn more about Dr. Anne Peled on her blog.